An alpaca scarf to make you smile. 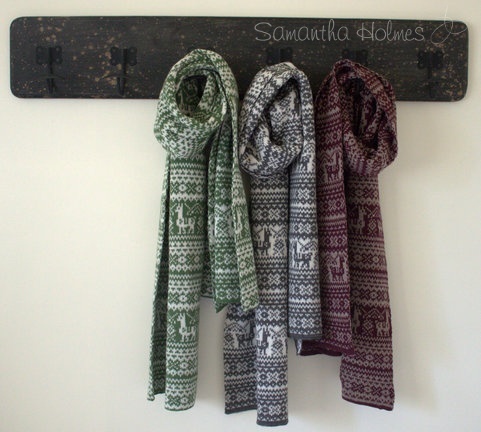 Our new nordic retro design features Fair Isle with a twist - look out for the little trotting alpacas. Knitted with a durable blend of alpaca & lambswool in a chunky 6 ply, our gorgeous new alpaca scarf is gently felted for a snag-proof finish and super-warm. It's also reversible - a perfect fair isle pattern on both sides with no floaters.